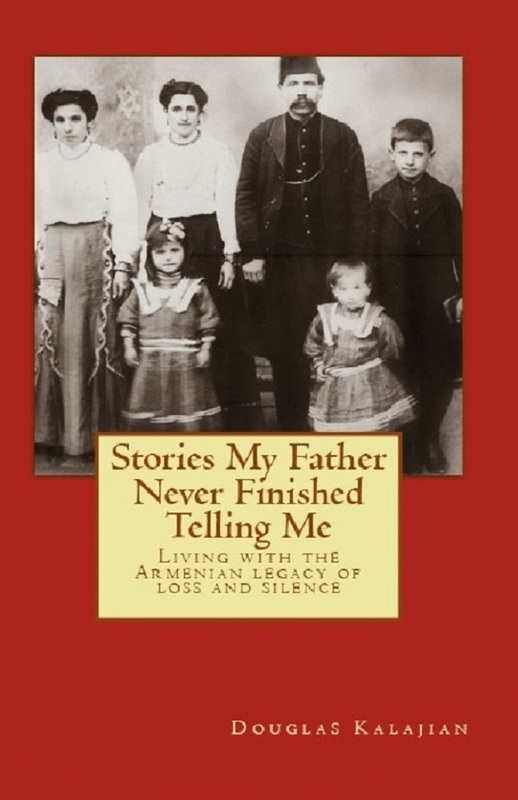 This has happened about a million times, no kidding: Somebody recognizes our last name as Armenian and starts telling us about an Armenian friend or neighbor, maybe someone from far away and long ago but who is still fondly remembered. And almost always, what they remember best and most fondly is Armenian food. Armenians love to cook -- well, lots of us at least -- and we love to feed our friends. Even those who are a little reluctant to try something "different" usually leave the table patting their bellies and smiling. The point is, Armenians make great food ambassadors. 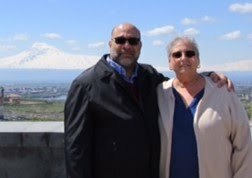 A tray of pakhlava or a skewer of khorovatz can make a friend for life while also leaving a positive impression of all Armenians. I think this is what's so disappointing about the scarcity of Armenian restaurants that Robyn and I have come across in our travels to other states. A good lule kebab joint would raise the profile of any Armenian community and maybe even make someone a nice living. Or maybe not. We know the restaurant business is tough, and we were reminded just how tough recently while talking to Armenian friends at church who tried it. Two years of working nearly 24/7 were enough for them -- and they ticked off a list of many others who sank before they could sell out. 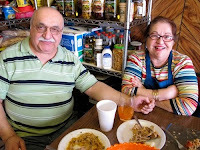 But soon after that, I came across this story from the Web site HoustonPress.com about an Armenian restaurant called Cafe Rita in Houston, Texas (of all places!) where business is apparently booming. A related review stated: "Cafe Rita is always packed by noon. That's because eating there is like going over to your Armenian grandparents' house for lunch." The menu is actually more Lebanese than Armenian, which is understandable: Owners George and Rita Sarikhanian (pictured at left) are from Beirut, but they're both Armenian and they let everyone know it. "We serve Lebanese food, with an Armenian twist," George Sarikhanian told the reviewer. The twist appears to be a little extra spice, including a lot of extra pepper. Rita does all the cooking, "grinds her own spices, chops her own herbs and prefers knives to food processors. Cafe Rita doesn't buy anything pre-prepared from other Middle Eastern sources except the pita bread." Sounds great to us. I'm thinking about the three-kebab platter for $10. I may be thinking about it for a while, as Houston hasn't been on our travel itinerary -- but hey, now we know where to eat if we're in town! My sentiments exactly, Ara. Heck, I'll settle for a 3-star establishment!